MeinPlatz is a useful application that is designed to help you scan your hard disk and view the files in order to locate lost disk space. Of course the results can be exported to XLS, HTM, CSV and TXT. MeinPlatz "My-Place" also has a print function with integrated print preview and variable aspect ratio, and also a small screen magnifier. - sightedness or in the small print, everything on the screen can be made bigger. 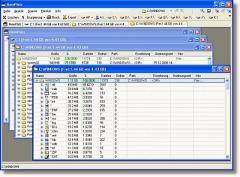 - With the percentage analysis, folder number, file number. - With print preview and variable aspect ratio. - Scan the workplace and do quickly select the desired folder.